But what if your request could opens doors and provide you with information and connections you wouldn’t have otherwise had come your way? Successful people know how to use the “Just Ask” strategy to get what they want. Last fall, I submitted an online proposal to give a presentation at the Kentucky Teachers of English Conference. I couldn’t be sure if my proposal would be chosen, but I took the leap and went for it anyway. And guess what? I was chosen! 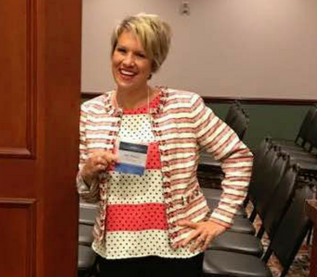 This was an unpaid gig, but I knew it would provide an invaluable opportunity to make connections and get to know Kentucky educators. While I was there, I struck up a conversation with the conference organizer, discussing my education consulting work and also mentioning my Happiness Coaching business. My silent intention was to land next year’s Keynote Address. I made the choice to “put myself out there” because I believe in the power of valuing myself enough to do so. I know that I am worth it—and that it never hurts to ask. I landed the Keynote Address for next year’s conference! Asking for what you want sends the message to others and the Universe that you love and value yourself enough to request what you want and need. When we choose to see our value, the world recognizes that value in kind. What do you need to ask for? A few moments alone, a hot bath with no interruptions, time to exercise throughout the week, a massage, a pay raise, flexibility in the work place, a night out with your significant other? All of these things are within reach if only you ask. So, my challenge to you this week is to stretch yourself and flex your asking muscle. Why?Because you are worth it!